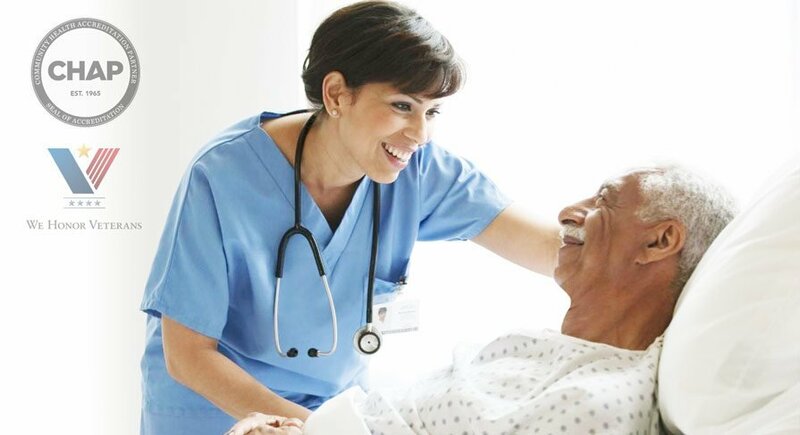 Hospice care is a philosophy of caring that assists those nearing the end of life and in need of refuge. It is a system of caring designed to restore dignity and provide a sense of personal fulfillment to the dying. The focus is on the patient and the family rather than the disease; the goal is to improve the quality of life that remains. The modern hospice is not a place, a building, or an institution (a frequent misconception). Instead, it’s a concept – a collection of ideas and attitudes – about an array of services based on a holistic philosophy of living and dying. Hospice searches for meaningful treatment of terminally ill patients and their families by uniting contemporary science with sensitive caring. In short, the goal of all hospice care is the relief of symptoms in order to promote comfort and improve a patient’s quality of life. The hospice movement is both ancient and modern. Beginning as a form of comfort for travelers, hospice has been adapted as a philosophy of care, to ease the journey from life to death. Our modern term “hospice” comes from the Latin “hospes,” meaning both host and guest, and symbolizing the mutual caring of people for one another. We provide professional emergency help. Hospice is a philosophy of caring that assists a person nearing the end of life. Its goal is to improve the quality of life that remains by focusing on providing care for the patient and the family rather than attempting to cure the disease. The modern hospice may not be a place or a building; instead, it’s a concept designed to prolong meaningful living, not physiological dying. Therefore, no active, curative therapies are undertaken. In short, the goal of all hospice care is palliation, or making the patient as comfortable as possible – not dulled by social isolation, drugs, or heroic life saving efforts. Her research found two special needs of the dying that were not being met by conventional treatment: pain control and concern for the patient as a whole human being. Hospice was conceived to address these special needs and thus the concept of ‘Palliative Care’ for the dying was born. Making the decision to place a loved one in a long term care facility can be very traumatic. Hospice can help both the patient and the family through this transition. The hospice team becomes an extended family, providing extra visits to the patient and acting as a liaison between the nursing home, the attending physician and the family. Hospice is cost effective and is a major factor in reducing the cost of terminal care. About 28 percent of Medicare expenditures go toward care delivered in the last year of life, and almost 50 percent of those costs are expended in the last two months of life. The majority of these costs are associated with hospitalizations and high-tech interventions.